Christmas in Sarajevo as a Catholic holiday. I have been living in Bosnia and Herzegovina for the last six months. Since I first arrived here in June, I have travelled a lot, both in the country and in the neighbouring countries. This was a very intense period, and as the holiday season approached I found myself with no energy left to travel away for Christmas, and decided to spend this period in Sarajevo instead. That proved to be a very fortunate decision, not so much because of the airport chaos in Europe, but because it gave me the chance to be part of a very special environment in a city which, despite being now overwhelming populated by Muslims, is nevertheless determined to preserve its multicultural character and traditions. It also allowed me to better understand how religion as a cultural phenomenon works in Bosnia as a marker of difference among the Bosnians. When I first told one of my closest friends in Sarajevo that instead of joining my family I would would spend Christmas alone in Sarajevo, he immediately offered to accompany me to the Midnight mass in one of Sarajevo’s Catholic churches. What I first thought was an act of hospitality based on friendship turned out to be a very old practice among the Muslims of Sarajevo. “We always go, every year. In Sarajevo everyone goes to the ‘ponocka’, not only the Catholics.” And his mother added that it has always been like that, even during communist rule. When I asked around, this was confirmed by everyone. People even seemed to be surprised when I replied that I had never heard of such a thing, believers of a different religion celebrating in this way a holiday that they acknowledge not to belong to their own religious practice. For the Muslims with whom I spoke this is an established tradition that has become part of their own identity, while not at all diminishing their attachment and respect to their own religious tradition. 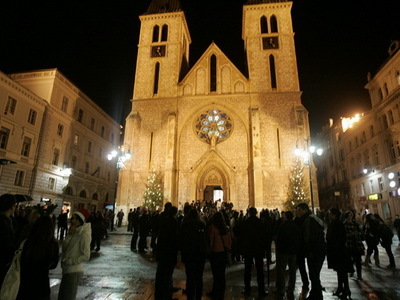 I chose to go to the Midnight mass at the Cathedral, in the centre of Sarajevo. When I got there, around 22h 30, the doors were still closed, but there was already a small crowd outside waiting. Much more people were walking along the main streets, between Bascarcija and the Marshall Tito street, killing time before the mass. 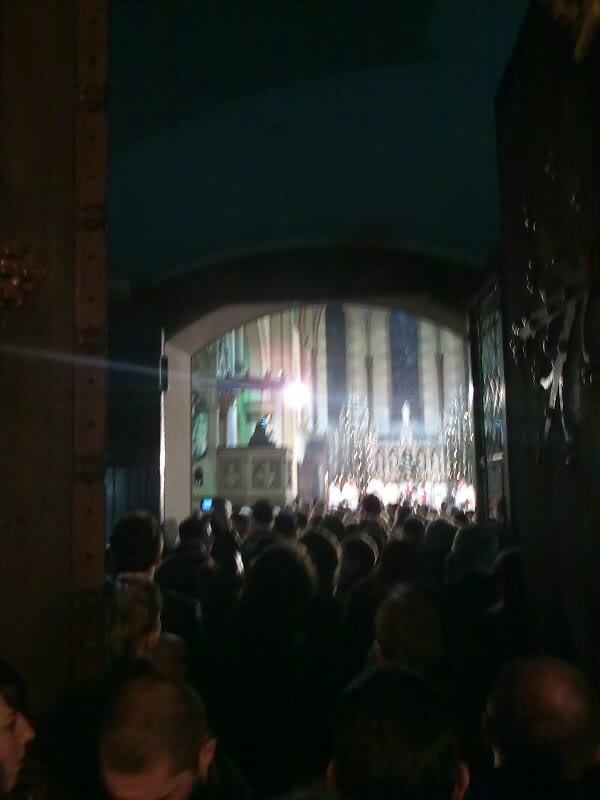 The crowd gathered in front of the doors was composed by Catholics, who were keen on getting a good seat and rather anxious for the doors to open, although the night was not particularly cold, while the apparently more relaxed attitude of the Muslims reflected in fact their concern not to deprive the Catholics of the best available places, as that would not be a respectful thing to do. When the doors finally opened I was very lucky to find myself a seat. In a matter of a few minutes the church was totally full, with people standing even on the main way, something I had never seen before, and many people remained outside, and followed the mass thanks to the loudspeakers installed at the square. On the front, in the seats reserved for representatives of other religions, the presence of Orthodox priests indicated that this tradition of attending the ‘Ponocka’ was not exclusive to the Muslims. The Cardinal Vinko Pujic, who celebrated the mass, on his homily acknowledged and made a note of appreciation for the presence of non-Catholics at the Mass, before addressing the Catholics, in a speech that extorted them to recognise Bosnia as their homeland, concluding that ‘Ova je nasa zemlja’. That this is also the land of the Catholics (that is of the Bosnian Croats) is also stated by the non-Catholics, nowadays mostly Muslims, that attend the midnight mass. 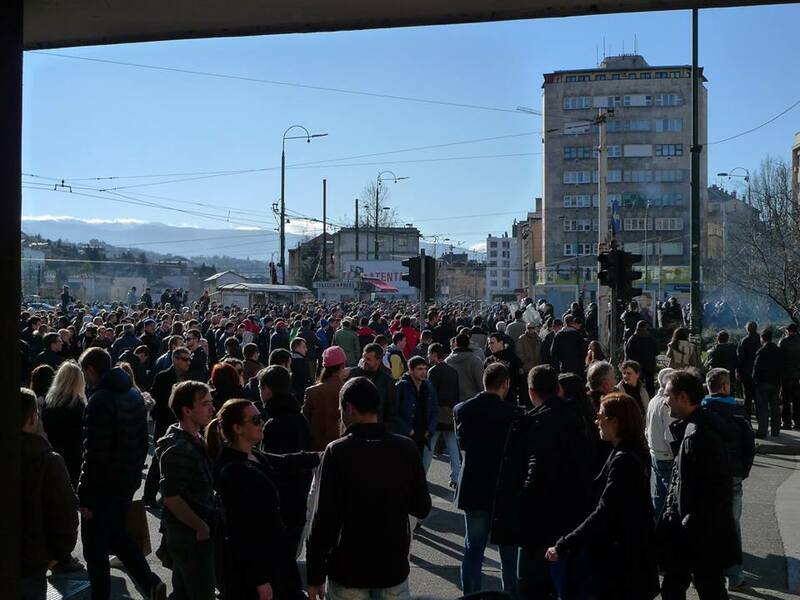 This is not to suggest that the coexistence between Bosniaks and Croats is devoid of tension in Sarajevo. Tensions do exist, and are revealed, on the one hand, by the Croats’ anxiety about becoming a residual minority in the city, and on the other by some Bosniaks’ resentment against the system of quotas in access to public jobs which grants the Croats a larger share than their demographic proportion. I will deal with these tensions in another post, but for now it is important to highlight that in any healthy society the coexistence among different groups (whatever may be the criteria of differentiation) is marked by occasional conflicts and very often by persistent latent tensions. The level of cohesion of a society is most accurately measured not by the presence of absence of tension, but by the consensual mechanisms that help manage difference on people’s every day lives. One of such mechanisms has just been described in this post. The ‘Ponocka’ is lived by the inhabitants of Sarajevo as an event that is part of their identity as Sarajevans, an identity that transcends the barrier of religion, while at the same time framing Christmas as a specifically Catholic commemoration (I heard a foreign of protestant faith complaining about feeling discriminated by the fact that before 24th December people greet only the believers of Catholic faith). The Christmas holiday season is marked marked in Sarajevo by a surprisingly successful juxtaposition of different traditions that goes beyond the Catholic dimension. However, the coexistence of different traditions is not always devoid of controversy. 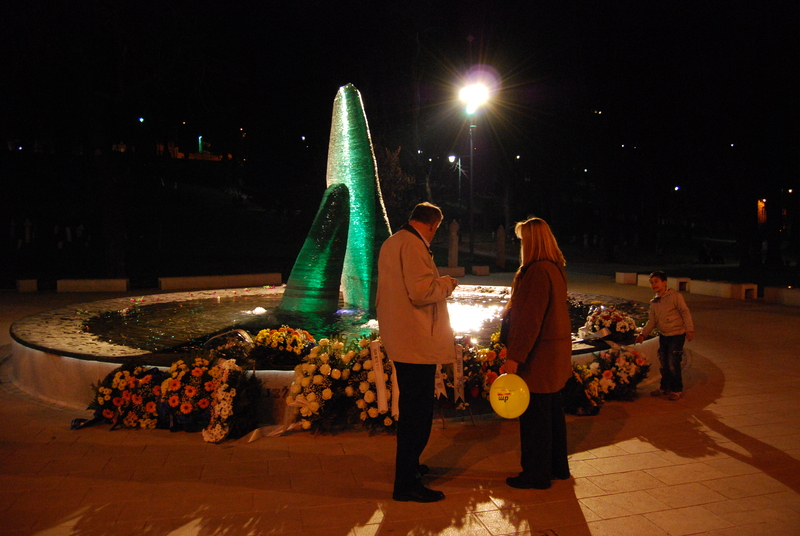 The main focus of this controversy has been, in recent years, the figure of Djeda Mraza, a controversy which I will elaborate upon on my next post, the second of a series of three posts dedicated to the holiday season in Sarajevo. 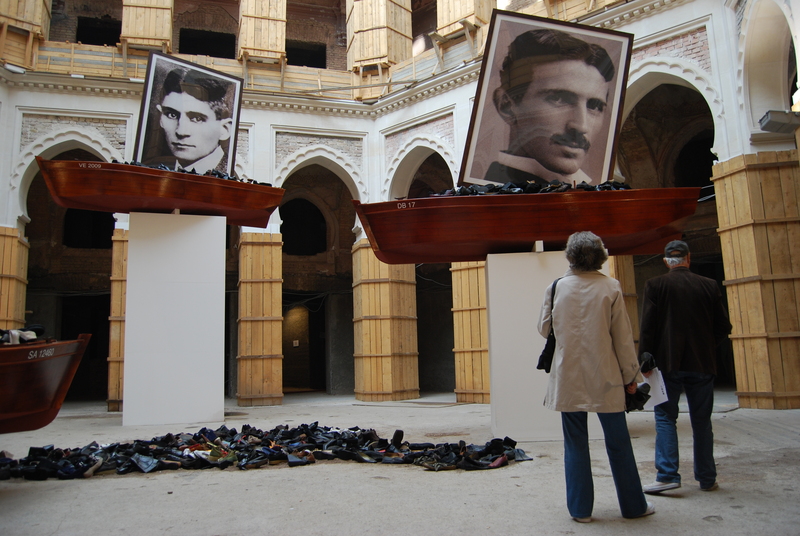 The exhibition by Bosnian artist Braco Dimitrijević, ‘Future post-History’, which was displayed at the Biennale of Venice last year, is now on display in Sarajevo, in the Vijećnica, the building of the National Library. The history of this building offers a good image of the history of the city of Sarajevo. Built in neo-moorish style during Austrian rule, it immediately became on of the most important symbols of the city. The building was severely damaged in August 1992, when the Serb forces shelled it with incendiary bombs, as part of their tactical goal of destroying the cultural heritage of Bosnia and Herzegovina. 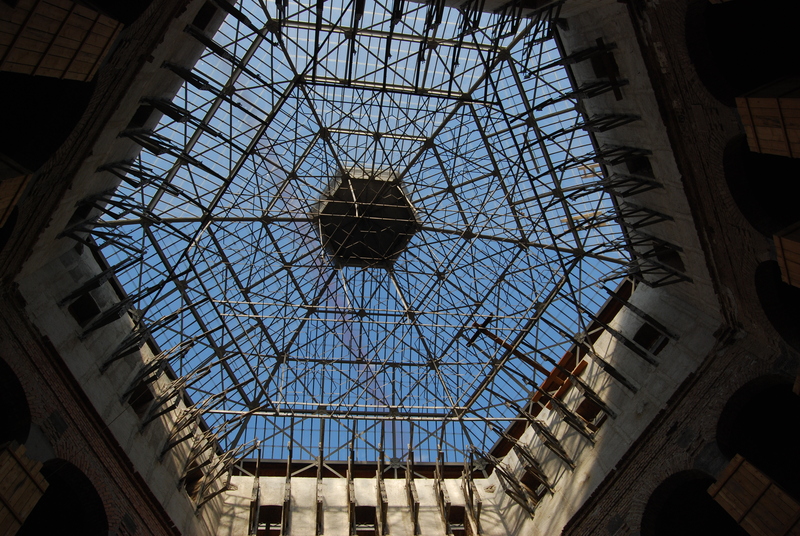 More than 2 million books and documents were lost forever but the building now is being restored, slowly, just like, slowly, the visible signs of the war are quietly disappearing from the face of Sarajevo. The loss itself is irreversible, but as the visible signs of destruction slowly either disappear or become invisible to the eyes of those who live here, the city displays its resilience through a systematic effort to make life pleasant and exciting, while assuming its depleted heritage. 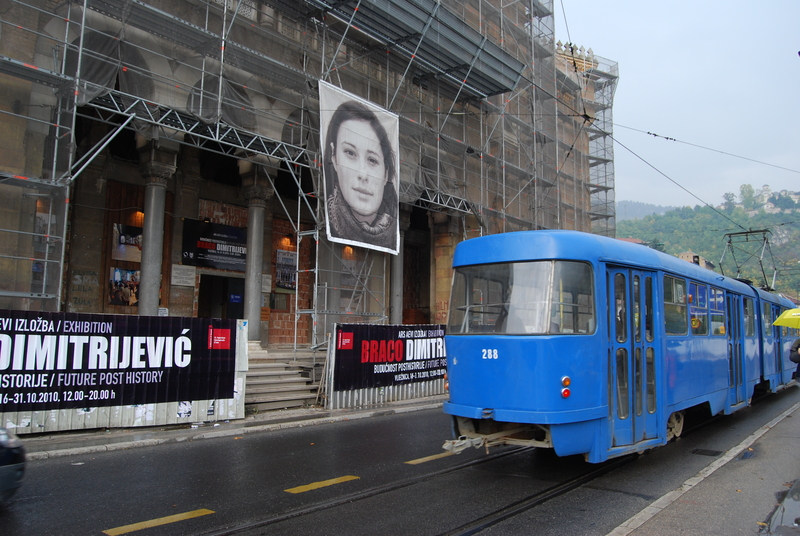 Thus the title of the exhibition is particularly appropriate to contemporary Sarajevo: Future post-History. The exhibition is composed of different elements: on the building’s façade, a portrait of a casual passer-by, on the main hall an installation composed of three boats which instead of sails have giant portraits of iconic figures, and on the rooms around video-works are continually displayed. All of these elements are recurrent in the artist’s career, repeated with some variations in exhibitions and interventions on the cityscape worldwide, as episodes of a single narrative that unfolds through time and space. What makes this exhibition particularly special is that, instead of the clean white walls of a prestigious art gallery, we have the dust and the typical mess of a building in reconstruction, which reinforces the feeling of being upon a process, not something finished, closed to the future, but rather a journey that we don’t know where it may lead but still embark on. Dobrovoljacka Street case: can Serbia provide a fair trial? The arrest of Ejup Ganic in London last Monday, 1st of March, could not have happened in a more symbolically charged moment: exactly 18 years after the independence of the Republic of Bosnia and Herzegovina, and on the same day when Radovan Karadzic was presenting, at the ICTY, his own version of the Bosnian war, while in Serbia a debate is ongoing about a parliamentary resolution about Srebrenica. While the coincidence of dates between the Independence day and Karadzic’s opening defence statement at the Hague should be seen as a ‘lucky strike’ for the Serb authorities, this case cannot be reduced to a mere diversion, which succeeded in overshadowing Karadzic’s statement upon the public opinion, in Serbia and in Bosnia, as well as internationally. The significance of Ganic’s case is that it represents an attempt to lend credibility to the absurd claim that in Bosnia the Serbs were conducting a defensive war. Although the case against him is not likely to have any impact on the outcome of Karazic’s trial, it will certainly have a significant impact on the debate in Serbia about the parliamentary resolution about Srebrenica, and most importantly, on the relations between Serbia and Bosnia and the on the stability of Bosnia, where general elections are to be held next October. Ejup Ganic was arrested by the British authoriti es at the demand of Serbia, which issued an arrest warrant against Ganic and 17 other persons, conspiracy to murder, in the Dobrovoljacka Street case, about the attack against a JNA column in Sarajevo, on 3 May 1992. This incident occurred a month after the beginning of the aggression against the newly independent Republic of Bosnia and Herzegovina, carried out in the initial stage by the JNA, and it happened during an extremely tense moment. The day before, the JNA had launched an offensive against Sarajevo, which was halted by the Territorial Defence. The JNA in turn kidnapped the President of Bosnia, Alija Izetbegovic, at the airport which was under its control (for a more detailed description of the context surrounding the Dobrovoljacka Street incident, please click here). 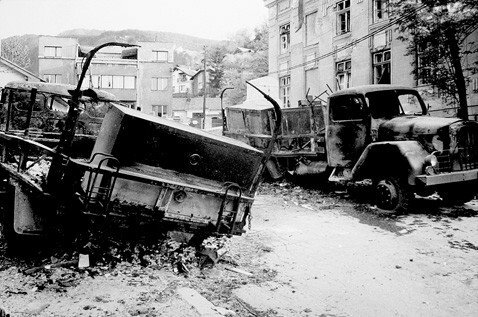 At the time of the incident, Sarajevo was already under siege for almost a month, and it remained besieged by Serb forces until February 1996, after the end of the war. Although the context of the incident is well known, there is some uncertainty about the attack of the column, which was withdrawing from Sarajevo, under an agreement brokered by the UN in exchange for the release of Alija Izetbegovic. It is not established whether the attack was spontaneous, as Jovan Divjak, then deputy commander of the Territorial Defence, and who was himself present at the scene, declares, or whether it was launched by superior orders, emanating, as the Prosecution of the Special Court for war crimes of the Republic of Serbia alleges, from the Presidency of Bosnia itself, in which Ejup Ganic was serving as acting President, due to the kidnap of Izetbegovic. Ejup Ganic’s arrest, and the warrant against 17 other Bosnian personalities reveals how, 18 years after the beginning of the war, battles over the interpretation of its causes and impact of the war in Bosnia are being fought, with the judiciary as one of its most important battlefields. that, with the current government, Serbia seems to be finally coming to terms with the past, with the arrest and extradition of Radovan Karadzic, and now the debate about a parliamentary resolution condemning the Massacre of Srebrenica as evidence of such process; while the Special Prosecutor has been investigating and prosecuting cases involving perpetrators who are Serb citizens. Finally, it can also be argued that both the Prosecutor and the War Crimes Chamber of the Belgrade District Court are autonomous from political power, and that we should resist analysing the behaviour of states as if they were monolithic, homogeneous entities, because they’re not. Starting from the third point, it is important to note that, although the state is certainly not an uniform creature, it is also true that when people in different positions of power share the same mind-set and the same perception of national interests, it is logic consequence that their values make their actions converge for an outcome that seeks to reinforce such mind-set, confirm those shared values and contribute to the perceived national interest. This trend is the product of a significant communion in the way the current ruling elite in Serbia, the Special Prosecutor, Vladimir Vukcevic, and the court’s judges are dealing with the legacy of the Bosnian war, and consists basically in responding to internationally imposed constraints linked to the interest in joining the European Union by abandoning, on the one hand, the strategy of denial of the Massacre of Srebrenica, while, on the other hand, highlighting Serb victimhood, which results in the establishment of an apparent moral equivalence that will preserve the Serb national narrative of the Bosnian war, depicted as a Bosnian civil war in which the Bosnian Serbs were primarily acting in self-defence. This trend is also shared by the ruling elite in Republika Srpska, as is clear, among other things, by the term officially used there to define the war: Defensive-Fatherland war (odbrambeno-otadžbinski rat). In this narrative, Serbia, as a state, is both exempted from any responsibility in the war, which represents the continuation of Milosevic’s argument at the time; and portrayed as the perennial protector of the Serbs, independently of where they live. Indeed, it is common practice that the Interior Ministry of Bosnia’s Republika Srpska reports, not to the Bosnian Special Prosecutor for War Crimes, but to his Serbian counterpart, on grounds that the Bosnians are not dully investigating crimes in which the Serbs were the victims (this is confirmed by the Serbian Special Prosecutor Vladimir Vukcevic in this interview). “I believe that the Serbian parliament will soon adopt a resolution on Srebrenica and it would be a great mistake if only the ruling majority were to vote for it,” Tadić said. He remarked that all the dilemmas on whether one or two resolutions should be adopted and whether it was a genocide or a crime “have missed the point,” which is to say that the people are not to blame. 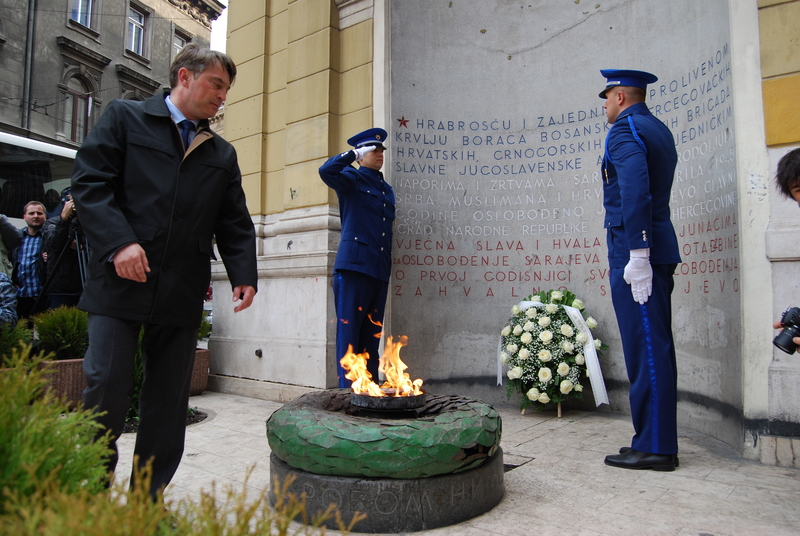 “Serbia must distance itself from that crime, because there were also mass crimes against the Serbs,” said Tadić. The president added that the Serbian court system has proven that it can process war crimes and prosecute its own citizens who participated in them, like for example the trial against members of the Scorpions, a paramilitary unit that was involved in the Srebrenica massacre, but that it does not want to take over every trial. (B92, 7 March 2010) (the second resolution mentioned by Tadic is supposed to specifically condemn the crimes committed against Serbs). This tendency, which is restricted to defendants of Serb nationality, is reinforced by the tendency by the Trial Chamber to benefit Serb defendants with mitigating circumstances invoked to reduce the time of their sentences, despite the seriousness of the crimes involved. Furthermore, the defence of non-Serb defendants is seriously impaired by the reluctance of potential defence witnesses to come to Serbia to testify, as was clear on the Tuzla Column case. The defence witness have funded reasons to fear being themselves arrested and tried, bearing in mind the bad-faith with which Serbia is using the international and regional mechanisms of police and judiciary cooperation. The Tuzla Column case is a very relevant precedent, in what regards the case here in appreciation, the Dobrovoljacka Street case. 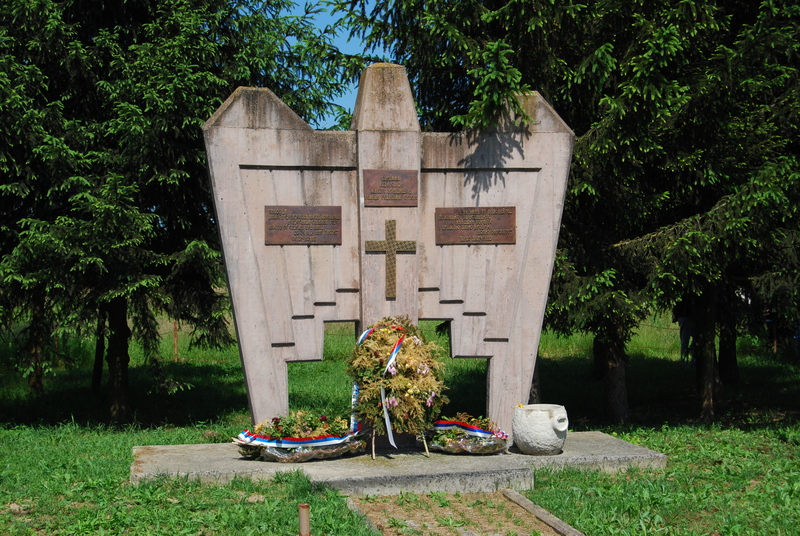 The defendant, Ilija Jurisic, was convicted to 12 years for ordering the attack against the JNA convoy in May 1992, which resulted in 51 deaths. According to the Humanitarian Law Centre, guilt was not established beyond reasonably doubt. 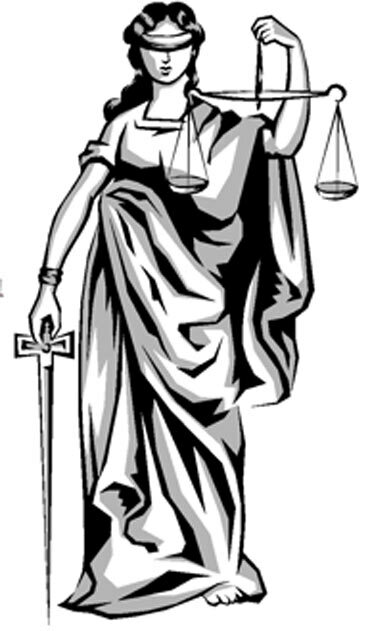 Justice is usually represented as a blindfolded woman wearing a sword on her right hand and a weighing scale on her left hand. In Serbia, however, an accurate portrait of Lady Justice would include only the sword. 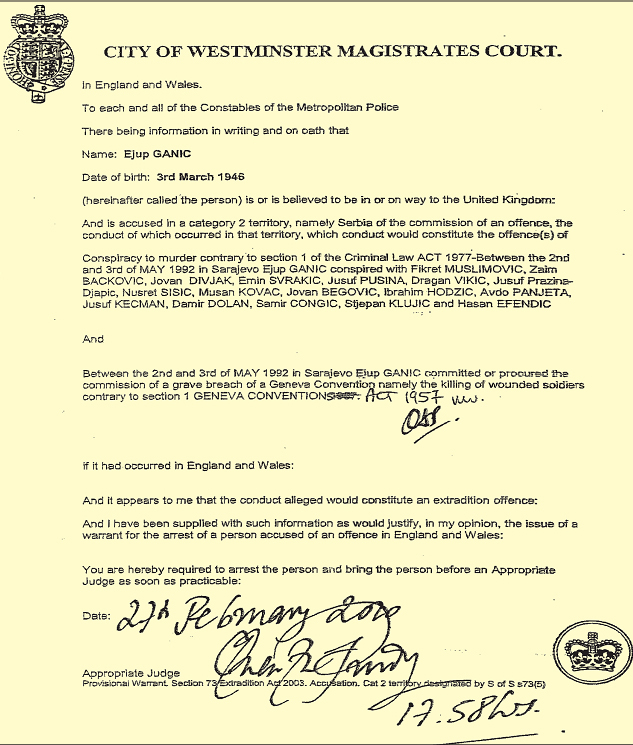 This is why Ejup Ganic’s extradition to Serbia would constitute a gross injustice. This brief analysis can only lead us to the conclusion that in Serbia, transitional justice is being subverted to such an extent that, instead of contributing to a wider process of regional reconciliation, it is, on the contrary working towards deepening the tensions in Bosnia. The possible approval by the Serbian parliament of a resolution about Srebrenica cannot be therefore interpreted as a sign that Serbia is finally coming to terms with its recent past, but rather as a merely tactical move towards European Union accession. This, in turn, should lead us to raise important questions about the prospect of Serbia’s European integration.